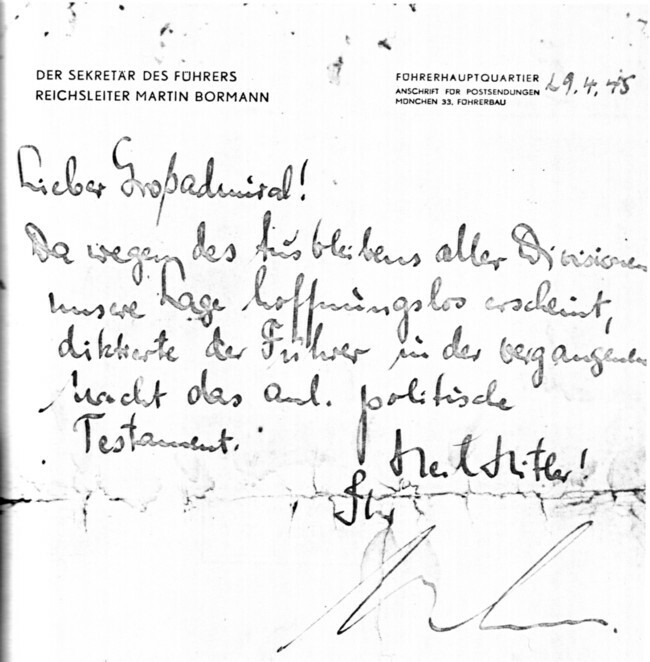 Bormann's capitulation message to Grand Admiral Doenitz, sent on April 29, 1945. It reads: "Dear Grand Admiral! Since all our divisions failed to appear, our situation seems to be beyond hope. The Fuehrer dictated the attached political testament last night. Heil Hitler! Bormann."